The Friends’ board of directors cordially invite the public to attend the 2019 AGM, membership is not required. This is followed by a guest presentation and refreshments, please register if you plan to attend. 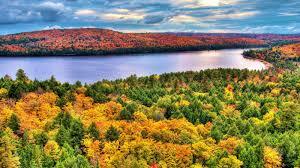 Algonquin Park is one of Canada¹s best loved treasures. Its 7,600 square kilometers supports habitats ranging from towering southern hardwood forests to boreal floating peat lands, and these are home to myriad fascinating plants and animals. This highly visual talk will focus on some of the natural history highlights of this great park. Free parking in the lot east of the K.W. Neatby Building, access from Maple Drive. COST: Free admission, registration is required. The Friends of the Central Experimental Farm (FCEF) is a volunteer organization helping to care for the Arboretum, the Ornamental Gardens and other public areas of the Central Experimental Farm in Ottawa, Ontario, Canada. In 1998 the entire Central Experimental Farm was declared a National Historic Site, a place ‘of profound importance to Canada.' These sites 'bear witness to this nation's defining moments.' Read the Central Experimental Farm National Historic Site Management Plan here.